#SundaySupper today is bringing you Gifts From The Kitchen. Ken had been wanting to make some kind of pecans for awhile now. Had a hankering for them! And when he made them they were perfectly timed for this post. Cinnamon Candied Pecans were born because I asked him to go to the sweet side. 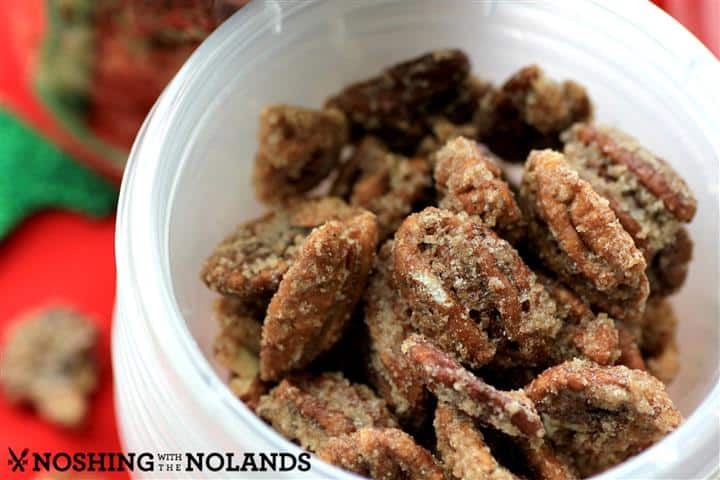 He has made spiced nuts before and they are either spicy or sweet spicy but never had he made candied ones. I love giving little gifts from the kitchen and do it as much as I can but at Christmas we are always doing something special for gifts. Even if it is a little jar or container tucked inside a parcel, bag or basket, it adds that special charm and meaning. Something made from the heart! A lot of cookies go out of this house wrapped up in pretty boxes over the holidays but I wanted to share something else with you. I have to say that I had to put these in a large jar and say that was off limits or the entire recipe would have disappeared, they are that good!! Super addicting, you can’t eat just one. They were vanishing at the photo shoot too!! The large jar is going out as a gift this weekend to a Grey Cup party. If I didn’t stow them away the batch would have been gone for sure!! I hope you enjoy this recipe as much as we did!! Can’t wait until he makes some more for us!! A truly addictive snack with a sweet slightly salty cinnmamon crunch! Preheat oven to 250F. In a small bowl, stir together the sugar, cinnamon and salt. Whisk egg white and water together in another bowl until frothy. Mix the pecans into the egg white mixture. Then toss in the cinnamon sugar and stir to coat all the pecans making sure they are evenly coated. Spread the nuts onto a rimmed cookie sheet. Bake for 1 hour and 15 min., stirring every 15 min. until pecans are browned. Let cool on cookie sheet. Give as gifts as desired. 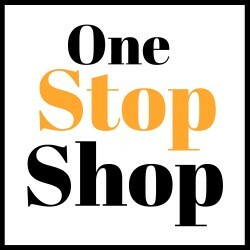 Recipe adpated from All Recipes. I am so excited to go through all of these posts to see everyone’s Gifts From The Kitchen. I hope you enjoy them all! Candied pecans! I think I will finish at least half of them by the time I’m done making these. I know Linda, they are so addicting, thanks for coming by! Thanks so much Kim, I have the one large jar left and that is it. My favorite nut treat of all!! Total yummy and such a great gift to make and give. I can’t wait to bring them to the big game today. I hope they are a hit!! Thanks so much Renee for hosting yet another fantastic #SundaySupper. I love nuts!! I am “nutty” for them, LOL These are perfect Tara! Mmmm, on a salad you are right. Thanks so much Liz! I’ve done this with walnuts before but never pecans. It’s on my list of gifts to make this year. Thanks Tara. Pecans are probably my favorite nut to eat this way! This is a great gift and everyone who receives it loves it ! I gave something similar a few years ago to some of my family members. I love how it made my house smell as they were roasting! Thanks Shelby, that big jar is sitting on the counter calling my name. I love spiced nuts! Cinnamon and pecans is a great combo. Yum! They look wonderful, Tara! 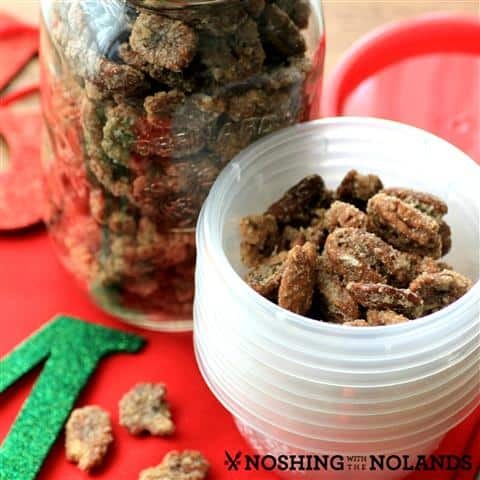 My husband’s aunt gave us some candied nuts as a gift at Thanksgiving, and my husband reminded me that I used to make them years and years ago when we were first married. Actually I think he was hinting! I think I will have to try your recipe! They really are so good!! These are the perfect holiday gift…that is if my hubbie and I don’t gobble up them up first! I love when hubby gets in the kitchen and creates something yummy for us all. Thanks Michelle, I hope you try them!! Yum Tara! I could just this whole recipe! I know this time of year is for sharing, but not these! I want some right now! I would have a hard time giving these away! I’d just want to eat them all! These wouldn’t survive 5 minutes in my house! What a mouthwatering holiday treat!! Oooh, candied pecans are one of my favorite things around the holidays but there are also a lovely addition to salads the rest of the year. Tell Ken, well done! I love candied pecans, they are so good when made at home. These would be SO dangerous for me to have around. I love love love candied nuts! Yum! My Aunt made something similar for Christmas last year. They were SO GOOD! 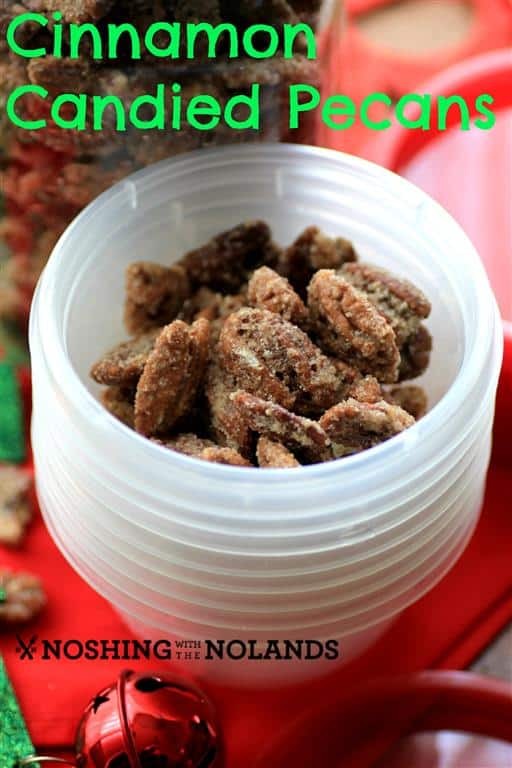 I have no words… I love spiced pecans anyway, and yours look so amazing I can’t even… Everyone who missed that party is probably kicking themselves! !